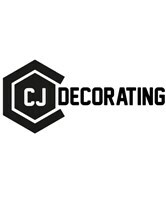 Here at CJ Decorating, we try to offer our customers a professional Painting and Decorating service based in Orpington taking on both interior and exterior work. Residential redecoration/restoration timber wood repairs to newly built extensions/loft conversions to new build flats/houses. We are fully insured and offer a good quality decorating service for a fair price. We use a dustless sanding system cutting down on many of the problems associated with having decorators in your home. We have been working in the decorating industry for 30 years.